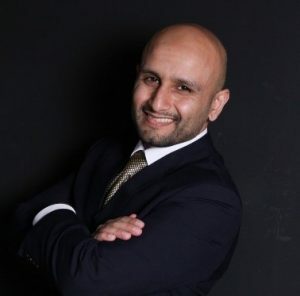 Dr. Omar Al-Ubaydli is the Program Director for International and Geo-Political Studies at the Bahrain Center for Strategic, International and Energy Studies, an affiliated associate professor of economics at George Mason University, and an affiliated senior research fellow at the Mercatus Center. He previously served as a member of the Commonwealth of Virginia's Joint Advisory Board of Economists and a Visiting Professor of Economics at the University of Chicago. Mr. Majdi Aref is a policy analyst at the Lebanese Institute for Market Studies - LIMS. He holds a Master’s degree in finance from the University of York, in the UK, where he wrote on pricing credit default swaps with industry-specific factors. He previously worked in research at the Economics and Capital Markets Research Center, where he examined the effects of debt on growth. Mr. Aref is regularly invited as a speaker and discussant at roundtables organized by Lebanese political parties. Maître Ziyad Baroud is a Lebanese civil servant and civil society activist. He served as minister of interior and municipalities, from 2008 to 2011 for two consecutive cabinets. 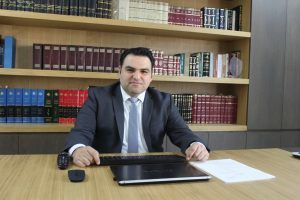 An attorney by formation and practice, Baroud is an expert on issues of decentralization and electoral law reform. He is known to abstain from engaging in feudal politics, and to focus instead on building the Lebanese civil society and Lebanese civil institutions. During his mandate, Baroud was credited for pushing forward a culture of responsibility and openness where he made himself easily accessible to all Lebanese citizens. 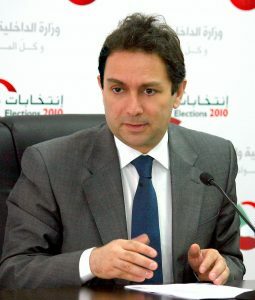 Baroud was also credited with overseeing Lebanon's best-managed round of elections to date in 2009. Dr. Zineb Benalla is an international expert and Consultant in CVE, PVE, CT, good governance, rule of law, democratic transition and peace building. 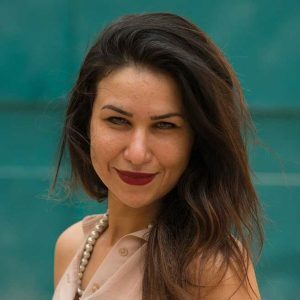 She holds: a BA in International Relations from Al Akhawayan University in Morocco and Georgetown University in the US; a Master’s degree in International laws from Kent Law School and Brussels School of International Studies; a public policy diploma from the Center of Public Policy Research in India; and a Think Tank MBA from Atlas Economic Research Foundation. She established the Averroes Academy for Freedom and Democracy, a public policy workshop. She spent the last 4 years in the Sahel and Maghreb region countering radical ideas and promoting peace reconciliation. She is an international consultant for the USAID, the AECOM International Development and many others. Dr. Mazen Derawan is a lifelong entrepreneur. He is the founder of the largest meat processing factory in the Middle East and of a successful, residential construction business in Chicago. Dr. Derawan was the President of the Home Builders Association of Greater Chicago and was on the National Board of Directors of the National Association of Home Builders in Washington, D.C. He was also inducted into the Chicago Area Entrepreneurship Hall of Fame in 2005. Dr. Derawan is also a lifetime member of the American Marketing Association Honorary Society and member of several chambers of commerce and industry. 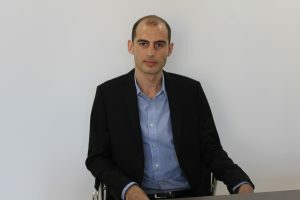 Dr. Patrick Mardini is an assistant professor of finance at the University of Balamand in Lebanon and the coordinator of the finance concentration. His publications are in the field of financial crisis, banks’ instability and institutional factors preventing competition. He also publishes on the danger of government intervention in a sectarian society. Dr. Mardini is the founder of the Lebanese Institute for Market Studies, the first free market think-tank in Lebanon. He is often interviewed by national TV and radio stations, and newspapers, and invited to lecture in Africa, China, Japan, Europe, the USA and the Middle East. He holds a PhD in economics from Paris Dauphine University.